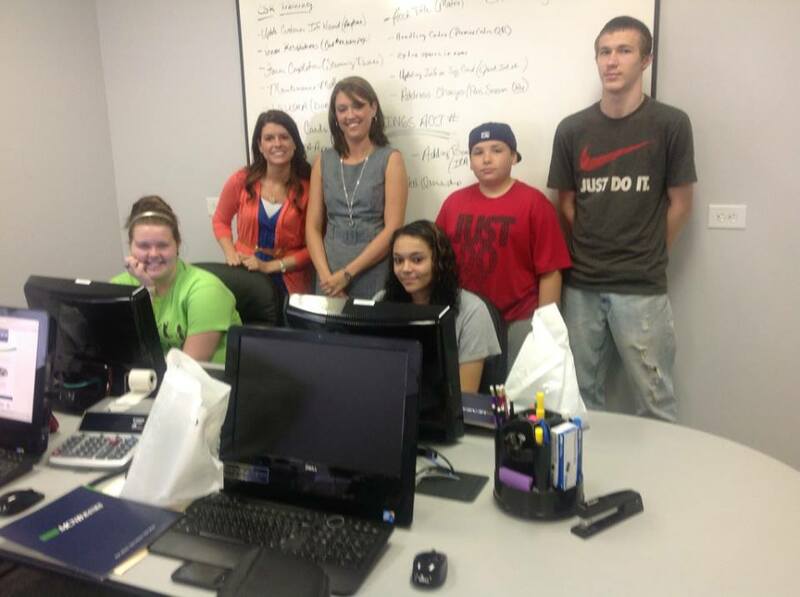 Watch-out Hollow, West Virginia’s Youth are Inspired and on a Mission! As a born and raised West Virginian, I can say that my state has gotten some pretty bad raps in the past. Sure, we’ve been last in a lot of things, we’ve been first in some others like obesity rates and unhappiness, but the recent release of the interactive documentary Hollow has ignited a passion and a fire in several of our Build it Up! West Virginia participants to design and create community and economic development activities across southern West Virginia. Below are their comments about the future of this state, the future of McDowell County, and their place in it. I hope you feel inspired, I know I do. I have lived in McDowell County my whole life. Its quite the perfect place to be! Although, I’ve seen a few things that communities/towns could do to help make it a better place. I would first start out by sending flyers to get people to volunteer to help clean the parks, streets and old buildings up. Also, we as a community need more activities for kids of all ages. A lot of people here have low income, so maybe someone could talk to local businesses about donations! Drugs are a real problem here in McDowell County, you always hear about drug busts, or people overdosing. It’s very depressing. Maybe if we could get more stuff for our young people to get into, it would take their minds off taking or selling drugs. Even letting them know somebody is here to listen and that cares for them would make just about all the difference needed. McDowell County would be the most nicest place around if people would help take care of it. After watching the film “Hollow” it has truly inspired me to continue doing good for myself and my community. Encouraging others to watch the film, and take part in the change McDowell County needs is definitely on my to-do list! I’m a very creative person. I have ideas for things most people wouldn’t think twice about. I have a passion for creating art, stories and I find myself noticing beauty in negative spaces. I live in McDowell County, West Virginia. I’ve heard that it was once the most beautiful place to be. I’d love to see it return to the way it once was, and I believe, with the right help, our community could achieve this! The first step is to learn to be a positive thinker and to have a positive outlook on everything! Next, we as a community need to learn to present ourselves with pride. If we can’t manage to be proud of what we DO have, why would anybody want to help us achieve more? Finally, we need more programs that allow the community to share ideas for events and other things. Maybe if we had something like this, more people would see that we are trying to better our area and help us! I want to see McDowell County thrive! I want to make it beautiful again! There are so many SIMPLE things we could do to make this place better. Things that wouldn’t take much money or effort. For example, the Martha Moore Park in town. That place sits empty 90% of the time when there could be events happening all the time. Things like movie showings, live local artists, art shows, and talent shows. So many things could happen there, all we need is a little publicity. Working at the food bank with Linda, distributing food and helping my community continues to inspire me to help McDowell County as much as possible, and watching the Hollow documentary gave me hope, and that extra little push that I needed to better myself as a resident, student, and worker. I look forward to working with Build It Up! in the future and continuing to help around my community. For those of you who don’t know, my name is Trystan Lively. I have been born and raised in West Virginia and I wouldn’t want to be anywhere else! I love this state with all my heart and am proud to call it home. It is my dream to help everyone else realize just how great our state is. West Virginia usually gets a pretty bad reputation for being full of hillbillies and inbred cannibals. Although this might sound intriguing to some (for reasons I cannot explain), it is far from the truth. West Virginia is full of loving people, beautiful scenery, and rich heritages. I want everyone to see that, especially the people who are born here. I have many friends who can’t wait to leave West Virginia. They tend to say its “boring”, to which I respond with the question, “how?”. West Virginia is far from boring! Because of these things, I want to prove to everyone that our state and the people in it are much more than meets the eye. Elaine McMillion, who came up with the concept for the documentary “Hollow”, and I have known each other for quite a while now. The fact that she has been able to shine such a good light on West Virginia makes me very, very happy. What she has done is exactly what I want to do more of for West Virginia. I may not be the person behind the camera filming for the rest of the world to see, but I am the one trying my best to clean up our communities. I want to help the people of West Virginia the most that I am capable of helping. I want our state and the people in it to flourish. Because this is so near and dear to my heart, I am going to college for social working and community development. I can’t even begin to explain the joy I get from volunteering and working in different communities. It doesn’t matter if I’m in McDowell county, Kanawha county, Cabell county, or anywhere else in the state, I still get the same amount of joy in helping to better all of our communities. I am dedicating my life to help this state be seen in a better way, and I want to personally thank anyone else who is helping to do this too. Everything has to start somewhere, and in order to change things someone has to do something. I am determined to be a someone and I am determined to change things. I don’t care what I have to do or how I have to go about it, things will change, and for the better. This entry was posted in Local Programs, Summer of Solutions and tagged Build it Up!, community, financial literacy, Hollow, Martha Moore Park, McDowell County, west virginia by jennydawntotten. Bookmark the permalink.